﻿ Metro Plaza Hotel, Los Angeles (CA) | FROM $115 - SAVE ON AGODA! "Room was clean and tidy, just a little dated." Have a question for Metro Plaza Hotel? "Location is convenient to major sightseeing and waking distance to union station." 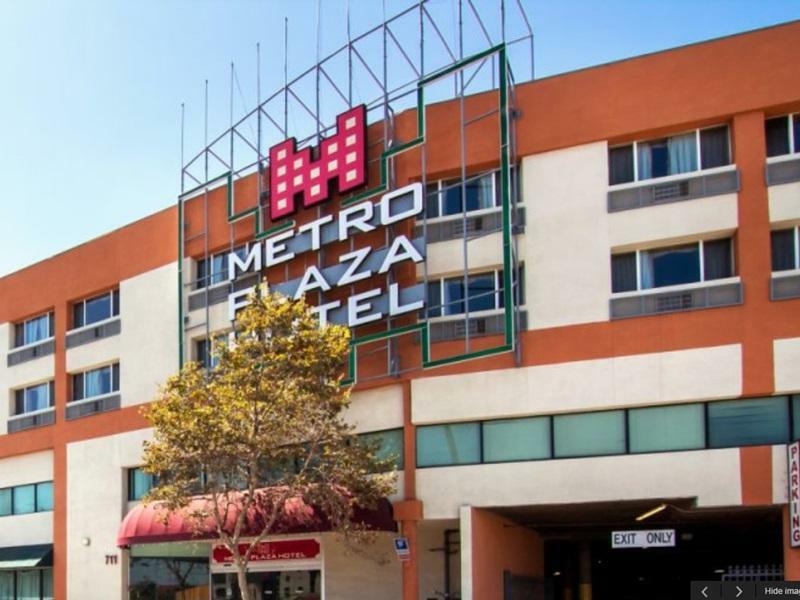 "Very convenient, nice staff, big room"
"Hotel is near union station and very accessible for us also..."
Designed for both business and leisure travel, Metro Plaza Hotel is ideally situated in Downtown Los Angeles; one of the city's most popular locales. The excitement of the city center is only away. Also within easy reach are Our Lady Queen of Angels, Italian Hall, Old Plaza. Take advantage of a wealth of unrivaled services and amenities at this Los Angeles (CA) hotel. 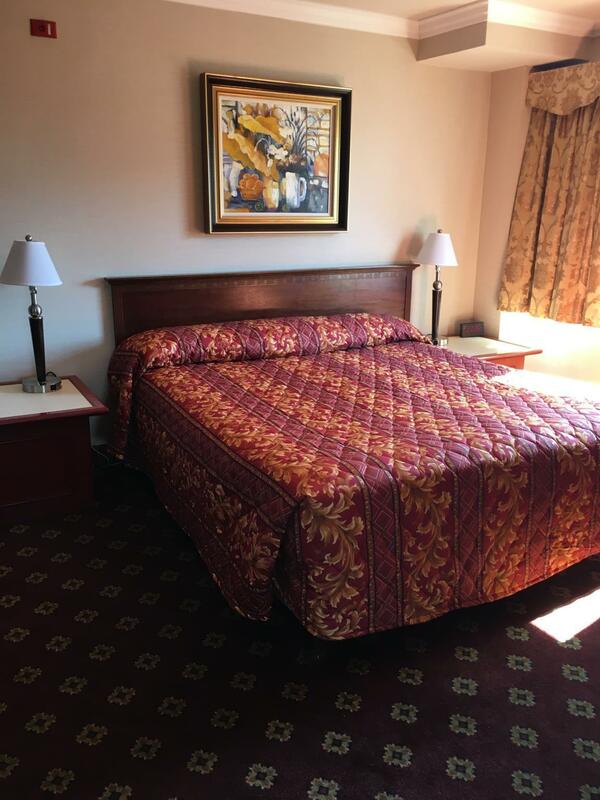 For the comfort and convenience of guests, the hotel offers free Wi-Fi in all rooms, daily housekeeping, taxi service, 24-hour front desk, luggage storage. Metro Plaza Hotel is home to 80 bedrooms. All are tastefully furnished and many even provide such comforts as television LCD/plasma screen, mirror, sofa, towels, internet access – wireless (complimentary). Besides, the hotel's host of recreational offerings ensures you have plenty to do during your stay. Discover an engaging blend of professional service and a wide array of features at Metro Plaza Hotel. The hotel is a 10 min walk from union station where FlyAway busses go from/to LAX. Union station also features metro lines to Hollywood and Santa Monica among others. My room was spacious, big and comfy bed. Internet was working well. Nice bathroom with bath tub. Good tv channel options. No coffee/tea making facility on room but they have a 24h coffee bar in the lobby. Breakfast was basic but a good start to the day. Staff was pleasant. My room was towards the Main Street, so I could hear occasional heavy traffic but I usually wear ear plugs, so it wasn’t too bad. Subway and other eateries just next to the hotel. Would def stay again. 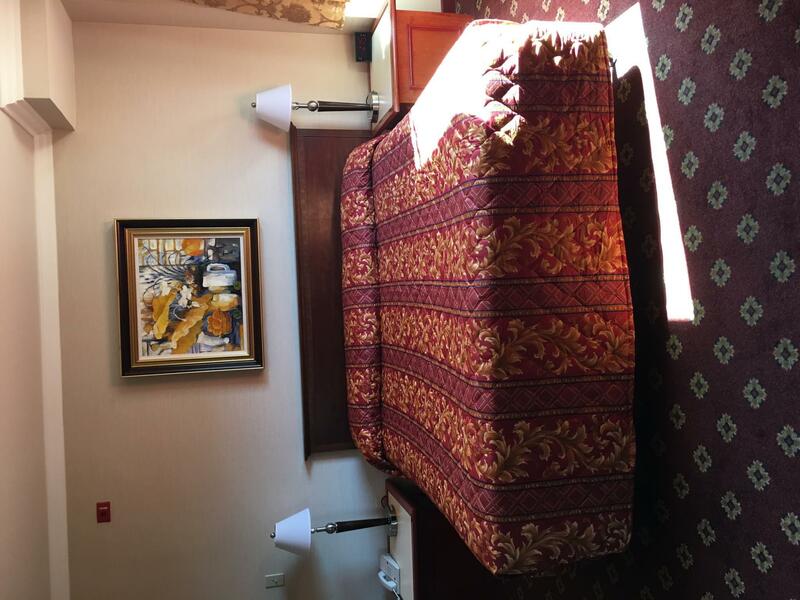 The location is near union station which is why I chose the hotel in first place, walking distance to china town and little Tokyo, and to the bus to megabus (to Las Vegas), citadel outlet, Santa Monica. Breakfast included and 24 hours free coffee. Good value for its price. The hotel itself is a bit dated but overall clean. After a long flight, our family was being tired. But the hotel allowed us to check-in at 11 a.m. without extra costs. Thanks to them, we could take a rest on the first day! The location was great if you have any schedule on the union station. It was 5 minute distance and the breakfast was not bad and starting from 6:30. This is a very good hotel. It is a bit old which like human being, you cannot avoid, but the facilities are good. It is very clean. The WiFi is a little bit weak for watching movies or sending large documents, but it is OK for check your emails and bank account. If people need stronger WiFi, the foyer is fine. I found this hotel is very comfortable. I moved here from the Hilton in San Gabriel. Compare spent twice as much, this one is good enough for our needs. By the time we stepped in the room, my boy found a big bedbug running on the pillow. It was so disgusting. Even though we changed room, but we still worried about it. My boy slept on the leather sofa. We didn’t take off our clothes when sleeping. It was so scared. We would never ever come back. I stayed at this hotel due to its location near Union Station, the meeting point for Tour to somewhere else. Facilities are OK, not new but quite clean. Room a little bit dark. WIFI is good. Hotel has breakfast (Bread, Fruit, Drink) starts at 6:30 AM, but I leave before. Good staffs. Right near the Union Station which was great considering we caught the Pacific Surfliner down the coast. Room was clean and tidy, just a little dated. Hotel room is big but carpet & curtain smells & dusty respectively, though location is excellent, just 2 blocks away from Union Station, that you won’t need a taxi as just a short walk from the station to hotel. However, when night falls, another down side, many homeless sleeping along the roads leading to hotel and probably urinate along the roads that smells really bad walking to/fro the hotel & station so no next time. walking distance to union station, chinatown, tokyotown & downtown LA... plenty of restos and shops around. buses just metres from the hotel... the building is old but rooms are spacious and being cleaned everyday. 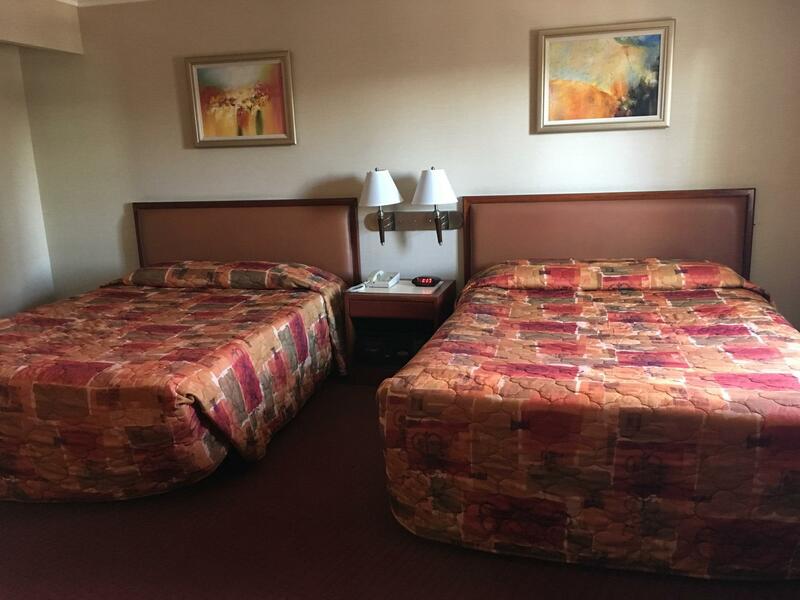 We are happy to stay in this hotel, very large room out of our expectation, neat and clean. For location, actually nothing much to do around downtown, Santa Monica, Venice, The Grove area are more recommended areas to travel around, but if distance doesn't really matter, this place is nice. This is not a luxurious or quaint hotel, but it IS safe and friendly with a good clientele (i.e., no apparent transients or druggies). I saw young students, business people and families during my one night stay there. The front desk were also able to change my room (I stayed on a weeknight) because the first one they gave me had windows off the main street, and I wanted something quieter. I left an important envelope in the room safe. The very helpful and honest staff helped me get the envelope back and saved my peace of mind and my vacation! High praise for the helpful and honest staff. I am so very grateful for their assistance. This was my first time visiting L.A. so I wasn't sure what to expect when arriving. When I booked this hotel I liked the fact that it was so close to the metro and within walking distance of lots of museums and other points of interest. The hotel itself was very lovely, clean, and the staff was very helpful and welcoming. Parking at the hotel is $4 a day which is very good considering city parking prices. Only negative thing I can say is it can be very loud at night because it is so close to main streets which might make sleeping difficult but it wasn't a big deal. Loved my stay here and I would definitely come back again. Provided that it is an aged hotel, the maintainence is still okay and kept clean. It is value for money because of its location. In addition, it provides simple breakfast with toast, milk and juice, which is appraised. I only stayed for a day. This hotel is not new though the room was clean. In addicion to that the front staffs are so kind and I had a great time there. I would like to stay there again if I have a chance to go there. Thank you! It's the best for us to choose this hotel. It's nice, we stayed for nights. Near the metro, convenient to go to many places by metro and train nearby. Also, it near the China town there are many delicious foods. This is a good place to sleep when visiting LA. Few minutes walk from LA Union Station. When buses drop you off at Union Station you have to walk through the station to the other side to get to the front of the station. Continental breakfast is adequate to start the day. Close to China Town small eating places in the evening. Few homeless men on the streets but they mind their own and do not hassle passes by. The hotel is a good place when connecting with other transport means. Would recommend staying here if you are after basic but clean room to stay. They have a desk top computer in reception area for free internet use.